Previous focuses on three men in a prison cell and the stories they tell each other about their lives. It explores the impact that telling these stories has on each of the men and how their stories, or their versions of them, sometimes conflict with reality. The men, often unwittingly, challenge each other’s perceptions of the roles they have played in their lives and the impact this has had on the people close to them. 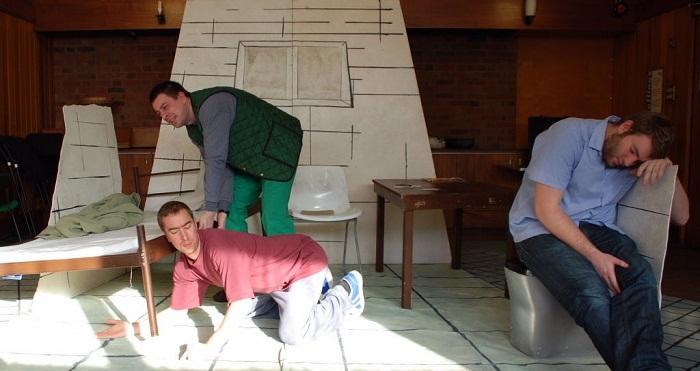 The play explores what it means to play roles like ‘offender’, ‘prisoner’, ‘user’ and ‘aggressor’ and how these inevitably clash with other roles like those of ‘father’ or ‘partner’. The piece ends with moments of choice for the three men and invites the audience to contemplate how they might use their time inside in preparation for potential new roles outside.